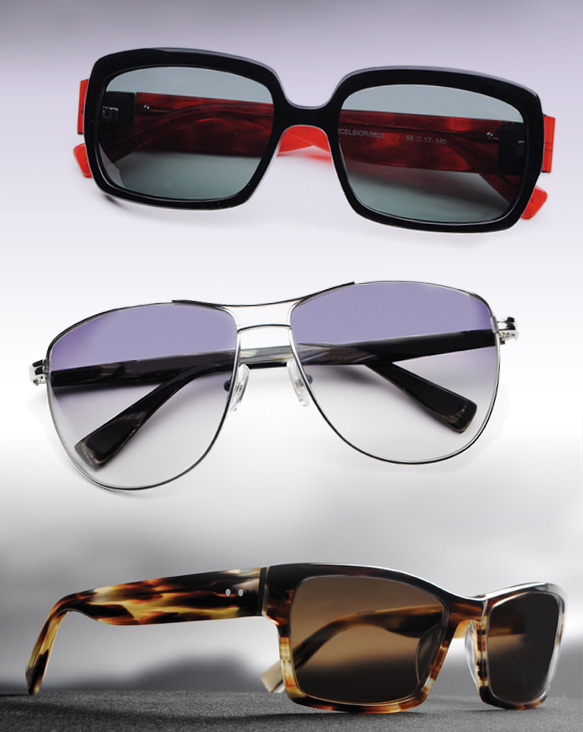 Right now, it’s all about the retro look in the wonderful world of eyewear. We love the vintage styles that have been rocking the runways over the past couple of seasons, and we love it even more when those timeless styles are revamped with modern flair. That’s the exact perspective behind the design of the new Seraphin frames. The three new sunnies for fall – Hayes, Marshall and Excelsior – all encompass old school roots that have been modernized for today’s fashion forward crowd. The different models were born from various inspirations ranging from ‘60s Hollywood glamour, the Italian coastline and the red carpet. Staple shapes like the elegant square, classic aviator and charming wayfarer make Seraphin an easy-to-wear collection that will keep you on trend and looking shade-tastic.